MoneyMax outlet in Singapore’s Little India neighborhood; taken October 2018. Pawnbroker MoneyMax reported its third-quarter net profit dropped 45.3 percent on-year to S$990,000 amid higher expenses and lower revenue from retail and trading of pre-owned items. Revenue for the quarter ended 30 September fell 8.3 percent on-year to S$35.52 million, it said in a filing to SGX after the market close on Wednesday. 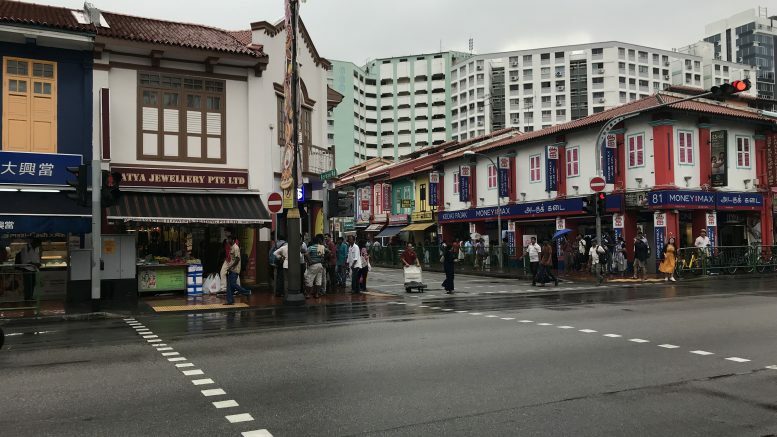 Finance costs rose 33.4 percent on-year in the quarter to S$1.81 million, while employee benefits expense rose 11.9 percent on-year to S$3.87 million, it said. For the nine-month period, net profit rose 5.6 percent on-year to S$4.84 million, while revenue declined 5.2 percent on-year to S$107.24 million, MoneyMax said. In the nine-month period, it expanded operations in Singapore and Malaysia with new initiatives, including launching SG e-Auction, which is an online business-to-business auction platform for luxury goods, it said. It also added its online MoneyMax eRenewal service for customers to pay interest more easily, it said. Its store outlet count increased to 70 outlets currently from 61 at the beginning of the year, MoneyMax said. “With the group’s business expansion, higher expenses were incurred, notably employee benefits expense, depreciation and amortisation expenses and finance costs,” it said. The company was cautiously optimistic. “We have expanded our business with new business initiatives and network expansion while managing increases in costs. Weaker consumer sentiment and uncertain economic outlook, however, has impacted the group in terms of lower top-line growth,” Lim Yong Guan, executive chairman and CEO of MoneyMax, said in the statement. “The group is considering the possibility of diversification into other financial services or expanding its services to overseas markets,” Lim added.